For a while now black has been the new black so it’s a breath of fresh air when multicolored clothes and accessories are everywhere you turn. I’ve seen it in skirts, bathing suits and accessories. 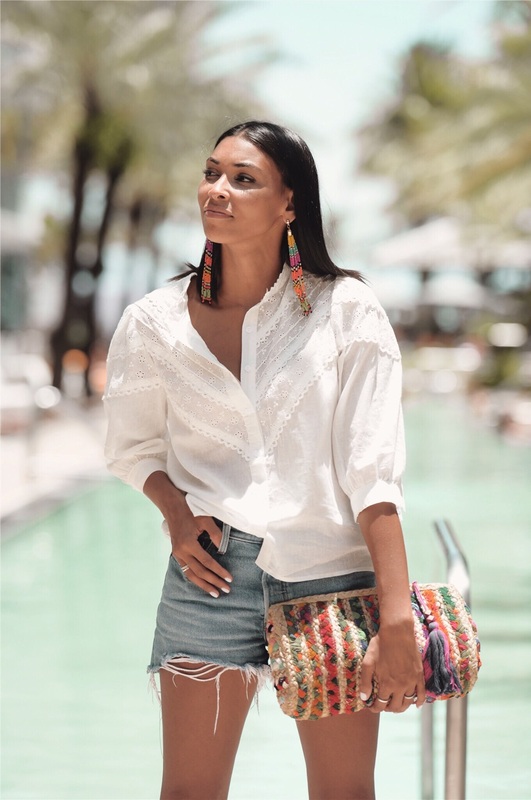 It’s tough to come out of your comfort zone when your stuck in a neutral zone (i.e gray, black, white) an easy way to pull off this summer’s multicolored trend without going over the deep end or spending too much money on it is keeping the base of your outfit as basic as possible. I found these trendy earrings at Forever 21 for about 6 bucks, in an effort to not look cheesy I paired them with the most basic outfit on the planet, a white top and denim. As long as you keep your outfit simple you’d be surprised how much fun you can have with multicolored accessories. 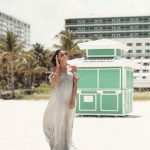 If you are interested in making a bold statement with multicolored clothes and not just accessories, here are a few of my favorites in the form of dresses, skirts and swimwear.